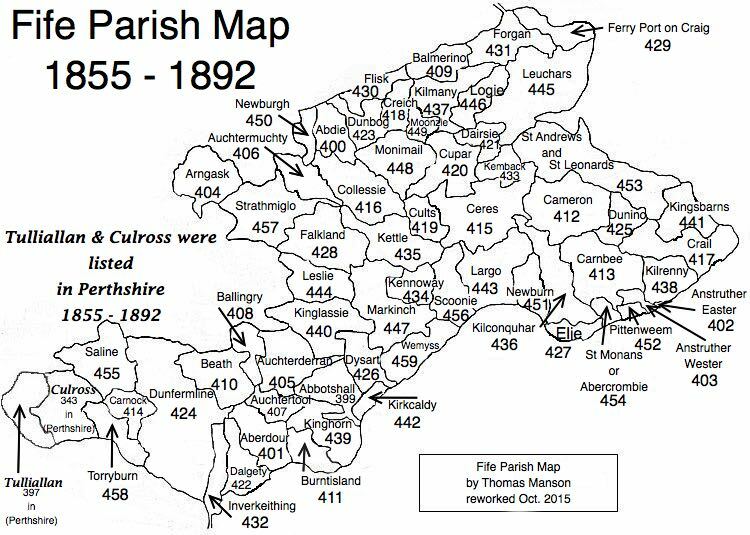 Parish of Flisk – The Fife Post………..for genealogy and historical information. FLISK, a parish, in the district of Cupar, in the county of Fife, 8 miles (N. W. by N.) from Cupar; containing the hamlet of Glenduckie. This place is supposed to have derived its name, descriptive of wetness or moisture, from the situation of the lower grounds, which, stretching along the Tay on one continued level, were formerly subject to occasional inundations. The church, erected in 1790, near the site of the old church, then taken down, is a neat plain edifice adapted for a congregation of 150 persons; it is beautifully situated on the bank of the river, and about four miles from Glenduckie, the inhabitants of which hamlet attend the church of Dunbog, it being more convenient for them.